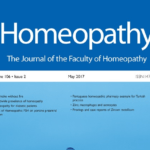 The recent statement by the European Academic Science Advisory Council (EASAC) concludes that there is no scientific evidence for efficacy of homeopathy which is based on three flawed research studies. Moreover, the statement has not reviewed the numerous studies that show positive outcomes for homeopathy. This selection bias seriously undermines EASAC claims that its conclusions are based on “excellent science based assessments”. The 2010 House of Commons Science and Technology Committee’s report on homeopathy, which was rejected by the UK government and an Early Day Motion was signed by 70 MPs unhappy at the way the committee conducted its review. 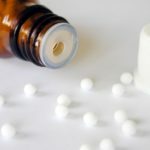 The Australian National Health and Medical Research Council’s (NHMRC) 2015 review of homeopathy, which is under investigation by the Commonwealth Ombudsman for the numerous irregularities in the way it conducted this review. 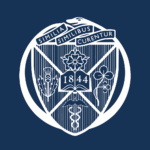 The 2005 Shang review, which reported to have compared 110 similar trials on homeopathy and conventional medicine, and reached the conclusion that homeopathy is no better than placebo. However, the conclusions of this study were in fact based on only eight of the 110 trials, none of which involved usual homeopathic care. The EASAC working group that produced the statement did not include a single expert on homeopathic research. On the other hand, one member of the working group has been the former chairman of a national sceptic’s association. This is in contradiction with EASAC’s claim that the statement was produced by “authoritative and impartial bodies”.